As the temperature outside rises and flowers begin to pop through the dirt, more people can be found outside enjoying the sun. The cold winter days spent trapped inside the gym are coming to end and for many it’s time to hit the trails. For those who enjoy running, spring is prime running time. Endless miles spent on the “dreadmill” can finally be taken outside. 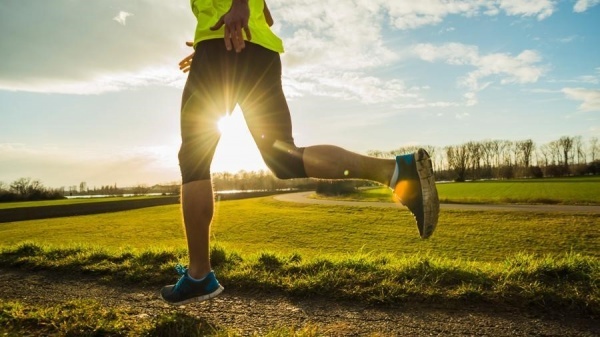 But before you hit the trails running, there are some helpful tips you should know to help you become a better runner outdoors and save yourself from injury. When running outside, the last thing you want to do is get lost or realize you have run farther than you can handle. Before heading outdoors for your run, do some research and map out your route beforehand. There are many websites (such as Mapometer) that allow you to draw out your route and give you exact distances. These sites can also help you find trails that are frequently run by fellow runners and include well lit streets and parks. Always remember your safety is a priority and choose running paths that are visible to others. If you ever feel nervous or uncomfortable, be sure to ask a friend to join you! Running on the treadmill provides your body with the the constant momentum needed to keep you moving forward. As you move your runs outside, the lack of momentum can become quite taxing on your body. Your muscles and joints are under constant stress to help stabilize and propel you forward. When running outside, don’t expect to run as fast or long as you did on the treadmill. Allow your body time to adjust to the new conditions and keep some shorter runs in the mix. You can pick up your pace and distance as your body adapts to the new surroundings. To help make the transition from the treadmill to outdoors easier, begin by running on softer surfaces like grass or tracks. While running is a highly efficient form of exercise, it is not the only form of exercise you should be doing. It’s important to keep a steady mix of strength training and stretches to keep your body strong and balanced. With the transition to the outdoors, it’s essential that your muscles are trained strong enough to handle the new challenges. Check out these running specific stretches and essential strength training moves to help ward off overuse injuries. Its equally important that you provide your muscles with a proper warmup and cool down. Read more about the importance of your cool down in our previous blog why your cool down counts. Start your runs with a brisk five minute walk and cool down as you slowly decrease your pace and stretch. Because running is a high impact activity, it can take a serious toll on your body and even lead to overuse injuries. To help ensure your body is supported at its best, be sure to take the time to find the proper footwear for you. Speciality running stores such as Endurance House can screen your running form to help you choose the right shoe for you. They can help detect over and under pronation and get you the appropriate support needed. This screening will also help determine your natural running form and allow you to learn tweaks to improve your form and time on the road. This extra step will help protect your body and keep you on the trials longer.